This is a dynamic office comprised of seasoned professional prosecutors as well as attorneys in their first years of practice. We have assembled a group of talented, motivated individuals who are developing an aggressive, fair approach to trial work. At the Ada County Prosecuting Attorney’s Office, one can expect to develop excellent case management skills. 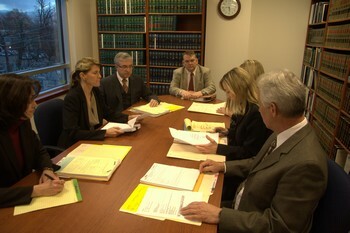 Each attorney and intern is responsible for his or her own caseload. While guidelines are set forth as to plea and sentencing negotiations, one must exercise his or her own discretion based on the facts and issues in each case. Trial work is substantial. 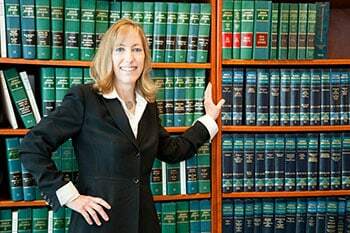 Within several months of employment, a new deputy prosecuting attorney has acquired a working relationship with the judiciary, a broad exposure to the defense bar, a command of the rules of evidence, and a level of comfort and confidence in the courtroom. Because the Prosecutor’s Office is located in the Capital City of Boise, attorneys within the office are active in many community and statewide organizations. Prosecutors serve in an advisory capacity on Governor’s committees, legislative committees and coalitions associated with special interest legislation. Prosecutors are called upon to teach classes at the police academy, lecture in public schools and represent and address prosecutorial positions in public forums.